For a totally free price offer, call 020 3404 0500 or send us an online request here. We are ready to answer your inquiries and give you discount details. No matter how damaged and how bad the condition of your hard floor is, reserve our hard floor cleaning and jet washing services and you will be amazed with the results! Excellent Carpet Cleaning is a top hard floor cleaning company, which offers affordable and yet high quality hard floor cleaning and polishing services, tile and grout cleaning, slate and stone floor cleaning, hard floor sanding service, vinyl floor cleaning, in Harrow Road NW6. Our specialised grout and tile cleaning company can offer you professional floor sealing and polishing, exterior and interior stone cleaning, wood cleaning and grout colour sealing and recolouring services. We offer trusted and guaranteed domestic and commercial hard floor maintenance services in the area. All of our cleaners are trained and properly prepared to deliver you with a reliable and safe hard floor cleaning service. They can easily get rid of stains, slippage and scratches from your personal hard floors. Any dull micro scratches, spots and watermarks will be eliminated, as well as the hard floor area soiling. 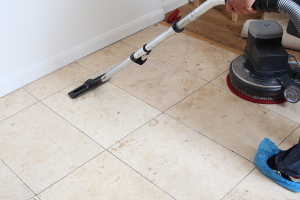 Based on your hard floor, the service can include an expert vacuum, the use of cleaning spray, a professional scrub, rinse and dry cleaning procedure. The cleaners will do a floor polish stripping, cleaning and buffing with the use of high quality modern pressurized cleaning, technology, emulsification, heat, and powerful capture of the waste. Once the floor surface has been professionally cleaned ongoing protection is accomplished with an impregnator, polish and seal for protection. You indoor or outdoor hard floors will be rejuvenated and covered after we are done. Just call 020 3404 0500 or send us an online request here. Our customer care providers are there for you, so you will shortly be receiving a written verification for the booking. We could deliver same day cleaning, but we are as well out there 365 days a year. We need no downpayment for booking also. Our rates are set, with no covered fees. We award clients who reserve more than one of our services at once with great deals. Those who book early on, regular clients, firms and landlords will get preferential rates for all of our services. Don’t hesitate - book our hard floor cleaning service and jet washing now!